reconditioned parts for 1955-57 Chevrolet, 1967-69 Camaro and 1964-72 Chevelle. in Lindenhurst, Long Island, New York. "We Ship Worldwide!" Here you can find everything for your Classic Chevy. 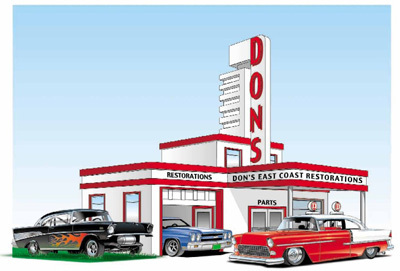 We specialize in 1955-57 Chevrolet parts as well as 1964-72 Chevelle parts and El Camino parts. Here you can find everything for your Classic Chevy. We specialize in 1955-57 Chevrolet parts - 1964-72 Chevelle parts - 1967 (and up) Camaro parts - as well as El Camino parts.